The effects of aging often take the most significant toll on the facial structure. For some men and women, wrinkles in the forehead and sagging upper brows are the first changes to appear. However, the most common transformation is seen in the lower half of the face, namely the cheeks and lower eyelids, which tend to form dark circles and bags. This kind of skin loosening may not merit a full facelift; rather you might consider a mid-facelift, also known as a cheek lift. A cheek lift focuses its results on the lower half of the face, particularly upper cheeks and lower eyelids. If you notice hollowing in your cheeks or sagging of the skin in the same area, a cheek lift works to reverse skin laxity and give you back your youthful profile. Because of the variance of conditions warranting cheek lifts, your surgeon may use one of many techniques when it comes to incisions. Whether the approach is through the lower eyelids or orally through the inner cheeks, the goal of this procedure is to lift the cheek pads back into place, thereby tightening the surrounding skin and giving you back a full, vibrant, youthful image. What Conditions does a Cheek Lift Treat? No matter the severity of your condition, it is always best to discuss your options thoroughly with your surgeon to decide if this procedure is best for you and to ensure your expectations remain realistic. We also recommend that you are fully healthy before opting for a plastic surgery procedure. Results and recovery are always more significant, natural and successful when your body is properly able to heal itself. Recovery times range slightly from patient to patient, but typically healing takes one week to ten days. Most patients take a week off of work and daily activities, but it is important to listen to your body and act accordingly. It is advised that you avoid strenuous activity for up to four weeks to ensure full recovery and best results. Am I a Candidate for a Cheek Lift? If you suffer from early signs of aging that affect the lower half of your face, you may be a candidate for a cheek lift. 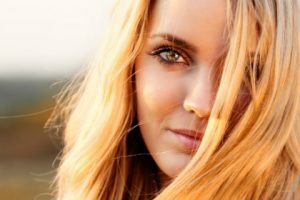 If you notice you look tired, that your cheeks look sunken or hollow, your eyes are beginning to look heavy or your jawline is not as tight as it used to be, we encourage you to contact Coastal Plastic Surgeons to schedule a consultation with San Diego’s most acclaimed plastic surgeon. Dr. Batra is a master of the art of plastic surgery and has the results to prove it. If you are interested in scheduling your introductory consultation, call us today: (858) 365-3558.